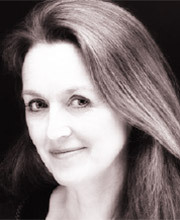 Karen Cass studied French and Spanish at St Catharine’s College, Cambridge (appearing in several ‘Footlights’ productions) before training at LAMDA. She made her professional debut at the Newcastle Playhouse in C.P. Taylor’s Good and has since worked in theatre, television and film all over the country. An accomplished tennis player, having represented GB and still playing competitively both home and abroad, Karen has also worked as a sports reporter for BBC Radio 5 Live, BBC Radio Cambridgeshire and Radio Wimbledon. As an audiobook narrator she has recorded over 120 titles for adults and children ranging from modern and fantasy fiction to classics, mysteries and non-fiction.